Recently, Apple has introduced an amazing futuristic stylus, Apple Pencil. The Pencil is an input device that gives a creative freedom to iPad Pro users. The pencil quickly analyzes and reacts to different textures, it’s a great solution for drafting blueprint, handwritten notes, sketching, shading, creating 3D images and much more. It’s evident from the adaptability of Multi-Touch and low latency of the device that Apple engineers have worked meticulously to craft the Pencil. To know more about what Apple Pencil has for its users, let’s have a look at the most recently released Apple accessory. The teeny delay between the amount of time between the start of the sketch and the time sketch emerges on the screen has been condensed to an unnoticeable level. Apple’s first smartpen dated back over six years ago had a major latency problem. With the release of the iPencil, Apple has conquered latency and it has been reduced to the bare minimum. The iPad Pro reads Apple Pencil gestures at “240 times per second”, this means the iPad’s multi-touch subsystem collects double the number of data points when it scans the Pencil input than using iPad with the finger. The data unified with the innovative iOS software bring drawing to the surface with greater speed, the lag is only of a few milliseconds! The Apple Pencil includes pressure sensitivity, it uses sensors to detect pressure sensitivity. The carefully positioned sensors are capable of calculating the range of forces and able to detect the angle at which you are holding the Pencil. The sensor identifies the pressure applied while using Apple Pencil and respond accordingly. If a user presses the Pencil firmly, it draws a thicker line and on pressing down lightly, it draws fine lines. Procreate, the most advanced and powerful painting app also supports iPencil pressure sensitivity. The tip of Apple Pencil is enabled with two built-in tilt sensors. The well-placed sensors measure the accurate orientation and position of the user’s hand. The user can shade drawings and create great effects simply by tilting the Pencil. The virtual positions of each sensor detect the Multi-Touch display the moment users scribble down or sketch using Apple Pencil on their iPad. The size and shape of Apple Pencil and the curve of its tip is made to dispense a realistic experience of sketching with pencil and paper. Apple Pencil gets 12 hours of battery life on a single charge. The user can get 30 minutes of battery life after 15 seconds of instant charge. The user can charge Apple Pencil though lightning plug which is beneath the magnetic cap of Apple Pencil. Apple has also included a lightning adapter that means the user can plug in the Pencil to a common lightning cable and charge it. With iOS 9, users can sketch and write on Notes, Mails and Paper by FiftyThree apps on iOS devices. With Apple Pencil, the user can send arty things in the email. It adds dimension to work by making a PDF or any document in one’s own handwriting. In the Note, there are two options, the user can create a new note and add a drawing screens in a new note. Apple Pencil is an ideal partner for sketching, writing, illustrating, and coloring your imagination via paper by Fifty Three. Palm rejection means a touch screen has the ability to ignore or reject the palm’s presence while working on screen. You can rest your palm on a page when you are writing or drawing, it captures more accurate drawings and signature. iPad Pro has improvised intelligent automatic palm rejection, which enables it to ignore all other touches and allows your Apple Pencil to work fine. The Apple Pencil will work with all other apps that are not up to date to support the iPencil. You can trace the image through a piece of paper using the Apple Pencil. 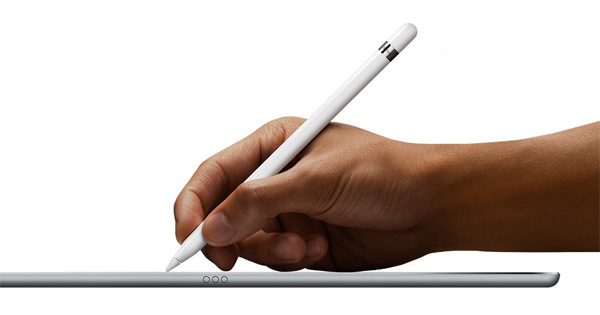 An intelligent palm rejection of iPad Pro recognizes the Pencil’s input through 20 lb. bond paper. It allows users to use the Apple Pencil to trace the images through a paper onto the iPad. The Apple Pencil will give all new dimensions to the user’s creativity and productivity. The Pencil brings more accuracy that will attract artists and illustrators, who love to digitally make a new design, handwritten notes, 3D images, create presentations, charts and much more. The $99 Apple Pencil is light in weight and easy to hold, it responds with precision to hard and soft presses. The tilt of the iPencil allows users to shade drawings and the palm rejection also work well. Presently, Apple Pencil only works well with Apple’s 12.9-inch, iPad Pro, as it has low latency and high responsiveness. Kamal Kishore is Tech enthusiast and Search Engine Marketing Expert at Girnar Software (SEZ) Private Limited - a leading mobile app development company. He is also the chief editor at Girnarsoft blog which shares new and informative content related to mobile apps, web programming, cloud computing and more. Protect your Mobile Device with Kaspersky Mobile Security!